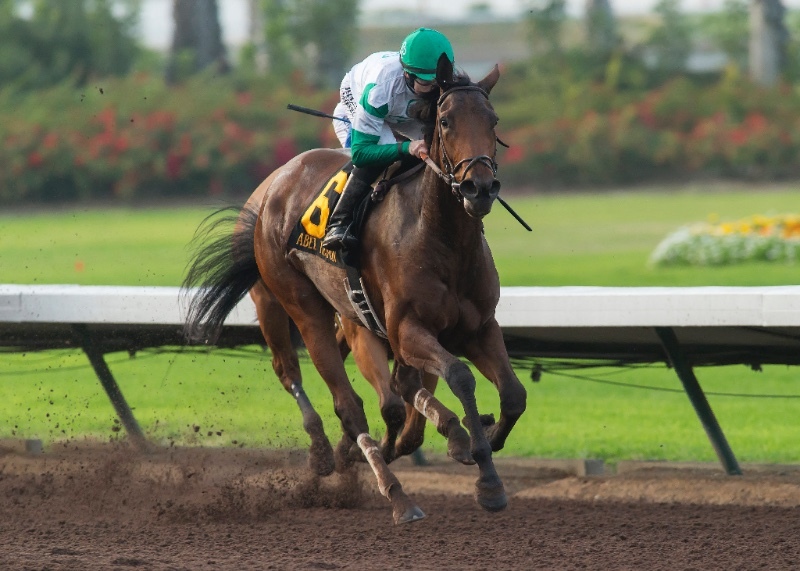 Juveniles by CANDY RIDE (ARG) and QUALITY ROAD swept California’s prestigious Grade I races and THE FACTOR was represented by a new undefeated stakes winner in an exciting weekend that could well have Classic implications down the road. All eyes were on CANDY RIDE’s son Mastery in the G1 Los Alamitos CashCall Futurity, and the Bob Baffert-trained 2-year-old lived up to his 1-5 odds while collecting his first top-level score. The unbeaten Mastery pressed through a wicked three-quarter split of 1:09.53, but had another gear in the stretch and drew off to win the Futurity by 7 1/4 lengths—the largest winning margin ever in the historic race. The final time for the 1 1/16 miles was a sharp 1:41.56—just three ticks off the track record. Mastery, a $425,000 Keeneland September graduate, was bred by Stone Farm and is owned by Cheyenne Stables. Mastery is CANDY RIDE’s second Futurity winner; the brilliant Shared Belief won the race in 2013. On the same afternoon, QUALITY ROAD registered his third Grade 1 winner of 2016 when Abel Tasman upset the G1 Starlet for owner/breeder Clearsky Farms. A winner of two straight heading into the Futurity, but making her stakes debut, Abel Tasman was content to sit off the leaders early while second last. She advanced along the inside, tipped wide for the stretch drive and gamely overhauled the odds-on favorite American Gal to win by a length. The #1 Third-Crop Sire of 2016, QUALITY ROAD is also the sire of this year’s Grade 1 winners Illuminant and Klimt. 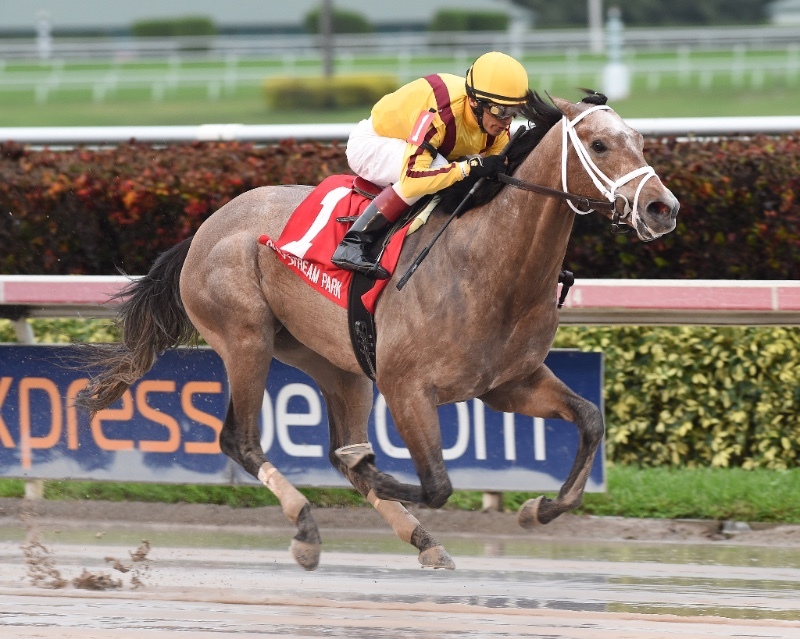 Trainer Todd Pletcher had a big weekend at Gulfstream, winning four stakes on Saturday’s card, and maybe none was more impressive than THE FACTOR’s newly crowned TDN Rising Star Fact Finding, who rolled home 7 lengths clear in the Smooth Air S.
A 350,000gns breeze-up purchase for the Coolmore partners and Stonestreet, Fact Finding is now a perfect 3-for-3 and looks set for South Florida’s key Kentucky Derby preps. Fact Finding is the second stakes winner for THE FACTOR, also the sire of the G1 Chandelier S. winner Noted and Quoted. Keep an eye out for short yearlings by these sires at the upcoming Keeneland January Sale!